Stonehenge: Inside the Ancient Stone Circle. It’s difficult to tell from my vantage point here in sunny (scorching) Southern California but apparently, it’s finally Autumn (or Fall if you prefer) ! I don’t know if I made this obvious enough to you but I definitely have a thing for this season…and for calling it Autumn. Yesterday, was the Autumn Equinox which means that the hours between night and day were split evenly. This also occurs during the Spring Equinox but what makes the Autumn Equinox way cooler to me is that it is the segue into longer nights and cooler temperatures (I see you Winter) ! Perfect for us who would rather rock sweaters and boots instead of bikinis, and prefer to get our stuff done while it’s quiet and the rest of you are sleeping (i.e. writing this blog at 3am). You say there is never enough hours in the day, but I say there is never enough hours in the night. There are so many amazing ancient structures in this world that have been erected for religious, spiritual, and calendar type purposes, and perhaps the most well-known is the ancient stone circle in England: Stonehenge! Like many of the other monuments, the sun aligns itself perfectly within different points in the structure to mark the beginning of each new season. I was lucky enough to visit Stonehenge just a couple weeks ago and in so doing I turned what I thought would only be a daydream for me into a reality. It was one of the most awe-inspiring experiences ever! I’m so glad that my favorite travel partner did the research to book us a private group tour so that we could actually go inside the stone circle. I did not know that on a regular visit you would have to be shuffled around with the crowds and compete to try to get decent photos without hordes of people accidentally photobombing. I would have been very disappointed if we went all that way just to look at it from a far. 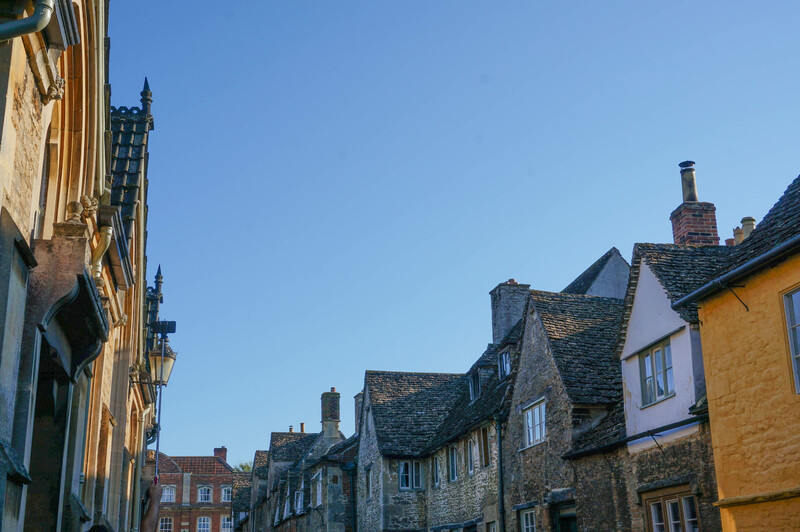 If you are like me and really want a full-on, once in a lifetime, get all up in an ancient monument’s business type of experience, it is worth investing in this tour. 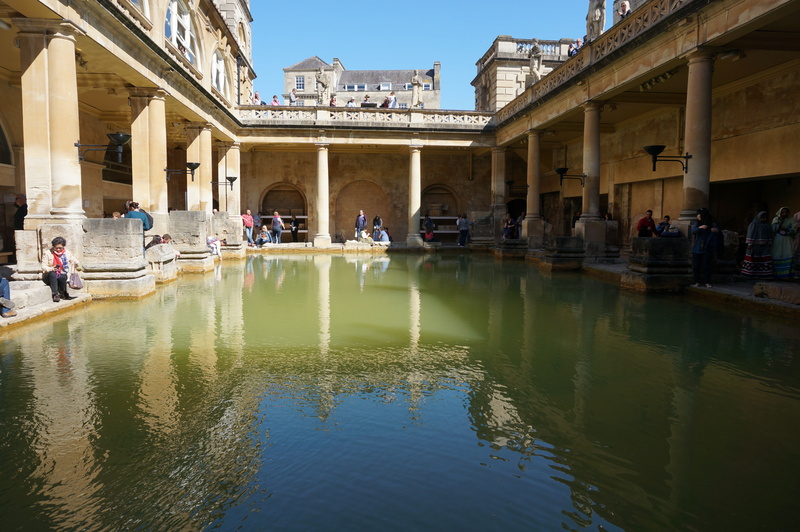 This all day adventure included a brief stop in the picturesque city of Bath to see the ancient Roman Baths, a stop in the quaint town of Lacock to enjoy lunch in a pub dating back to the 14th century, and of course a private, small group after hours tour of Stonehenge. It was a great day of sight-seeing and a nice break for us as we got to be chauffeured around and guided for once on our trip. The only downside was you had time restrictions. The tour group is required to get you to Stonehenge at a certain time so as not to miss the sunset and we almost left without this couple that was lollygagging at the pub. Check out our Youtube video of Stonehenge and our tour here. A proper pint at the pub! There really are no words to describe what it feels like to be standing in the middle of this ancient site. It will ignite the wonder and awe in even the deepest skeptic. It’s exciting and calming at the same time. I swear if you listened hard enough you could hear echoes from the past whispering their age old secrets to you. I visited Stonehenge for the first time in August and it really is awesome! A private tour sounds great. Otherwise you do literally get shuffled along in a line for £15 and still don’t get that close to the stones! Great Pictures! Thank you 🙂 . I’m sure it’s just as amazing to experience it with the crowds but hey you only live once right? So, I spent the money to make the trip worth it 🙂 Thanks for reading! Wonderful photos! Thank you for sharing your adventures with us! Thanks Judy! I’m glad you enjoyed it! I hope you have a great time there when you go! 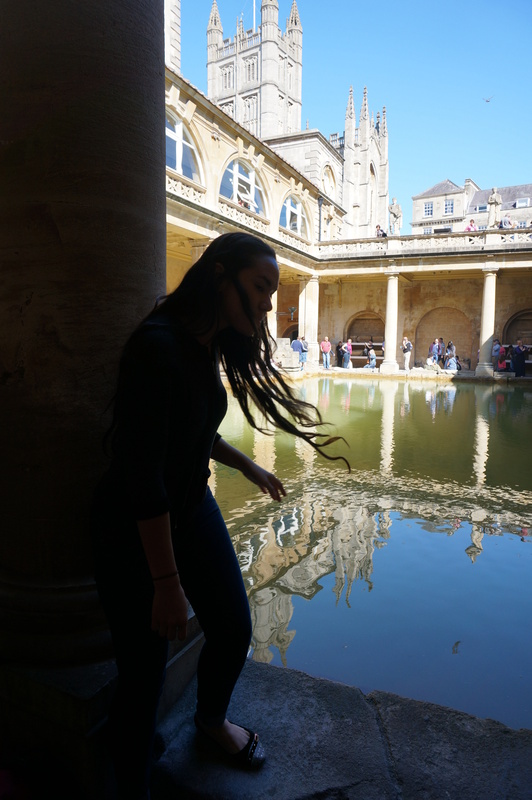 The way you wrote about your experience and the photos really make me feel, hear and see – as if I were there. Very nice! Nikki, thank you! Thanks so much for reading! beautiful blog and pictures. keep up the great work!! Thanks Jen! Much appreciated !